1/2 fl. oz. 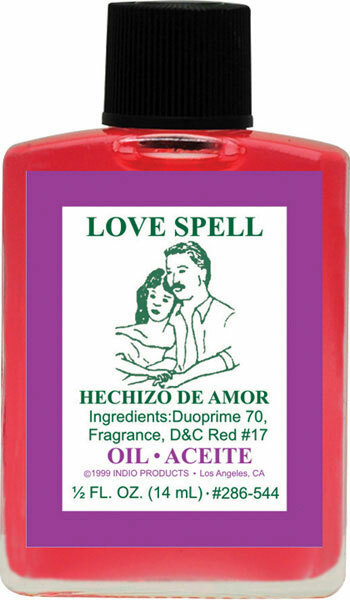 (14.7ml) Use Indio Love Spell Fragranced Spiritual Oil to increase the love in a relationship and have both person feel like their in a love spell that's going to last forever. Oils can be used to dress candles, it could be use on the body and or to make any kind of rituals. *Please read ingredients before any contact with the skin to avoid any allergic reaction.